The call center Industry experiences diverse call volumes 24/7/365. Therefore, it is essential to have an infrastructure set-up that conveys a level of communication without showing any interruption during the lively activities. Like any other BPOs, (CCI) has been performing their customer support duties with the help of Cisco Systems. Cisco is one of the recent technology that has been developed to help the organizations, giving technical support in call center industry. This technology has proved to be a great tool in minimizing the technical errors and allowing the call centers to perform the processes of technical communication with ease. There are many supporting technologies and applications that are included in the recent call centers. Some of them include Quality Monitoring, ACD, IVR, Call Routing, Web-Chat, Predictive Dialer, Work Force Management, CRM and Training and Email Management. Call centers India(CCI) executes their array of customer support services with the help of Cisco Intelligent Contact Management (ICM) software. This software has the ability to transform a conventional call center enterprise into a multimedia contact center. The introduction of these technologies has been pro-actively managing CRM tactics for productive results. In addition, it is also a great support for the call centers to automate processes across their disparate systems and thus reducing the need for manual decision making. The latest in CCI is the Cisco IPCC which is an automatic call distributor (ACD) alternative that is based on Cisco Architecture for Voice, Video, and Integrated Data (AVVID). This technology provides intellectual call routing, interactive voice response (IVR) integration, network-to-desktop computer telephony integration (CTI), real-time and historical reporting, and multimedia contact management to call center executives over an IP network. In addition, it also enables a faster development of customer care centers into multimedia centers with diverse database for future. 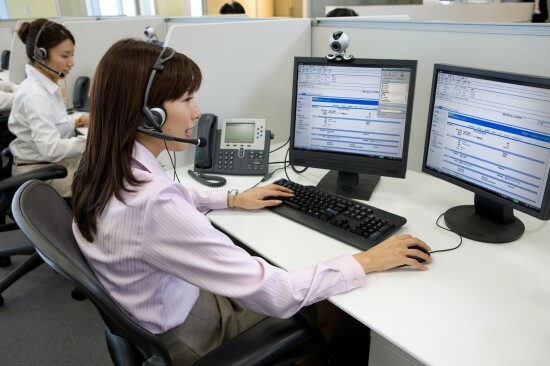 The Cisco IPCC merges well with legacy call center platforms and networks. It enables a call center to precede with the investment systems that allow a better level of migration to an IP infrastructure. This technology is purely developed for accomplishing in mono-site and multi-site call centers. PRISM is one of the Application Integration and Development Suite that is specifically designed for the non-technical business user. This technology enables to shape the interfaces of a common contact center and assists to build dashboards, reports or applications that are commonly operated in the systems. PRISM allows creating a completely customized view of IPCC and related application data without writing a single line of code. Moreover, the user can replaces diverse data view from multiple applications with one consolidated view. The software has also the potential to display real-time schedule adherence and real-time floor-plan animation by coupling workforce management and IPCC real-time CTI data. Last but not the least, this Cisco blessing also enhance Integration Architecture and effectively publish the reports to the web. In a nutshell, we can conclude by saying that this technology has been acting as an extensive support for CCI in rendering their call center activities with full efficacy and quality. Cisco has been continually upgrading their technology to minimize the drawbacks and using the time in the ethical call center services.